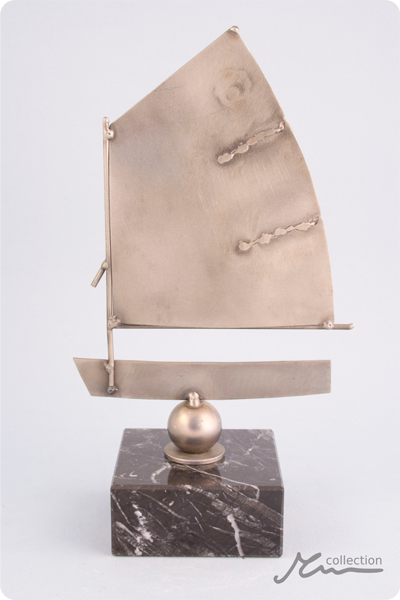 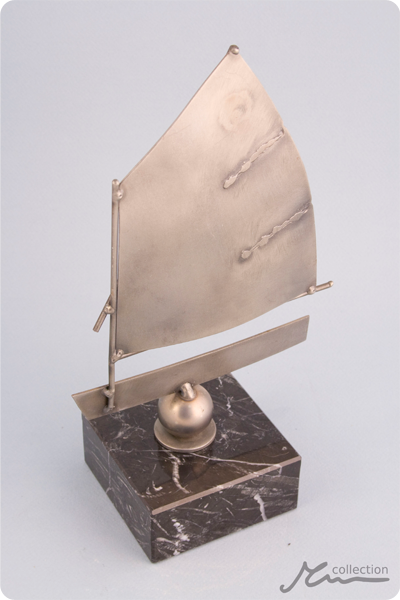 Little Sail Statuette: a beautifully formed metal miniature of the typical Chinese sail, evoking calmness and cheer. 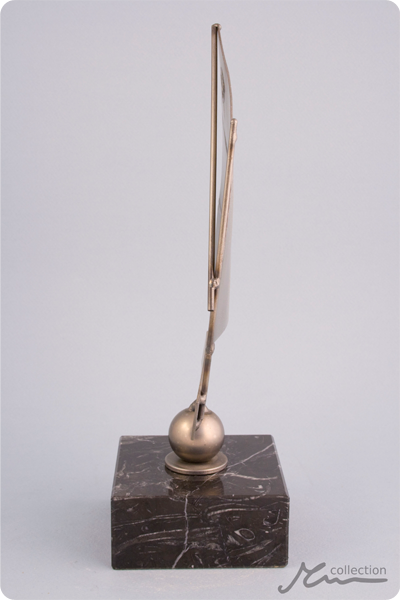 This statuette makes a great decoration for any interior. 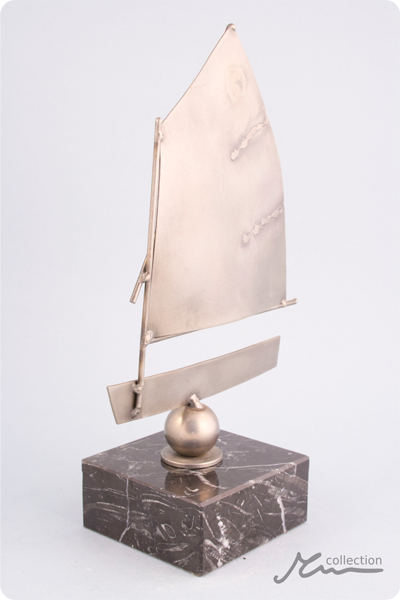 Can become a gift or trophy for all kinds of sailing related events.